Plastics. More than a witty line from “The Graduate”, this material engineered the 20th century and has become integral to nearly every facet of daily life. Particularly within the field of design, the use of plastic has permeated the consumer market to provide a multitude of goods and products since the 1940s. The majority of plastics are crafted to be disposable—temporary fixtures within the abundant landscape of the everyday. The National Science Foundation estimates that there is an island of plastic material floating in the Pacific Ocean (colloquially referred to as the Great Pacific Garbage Patch), that measures twice the size of Texas. 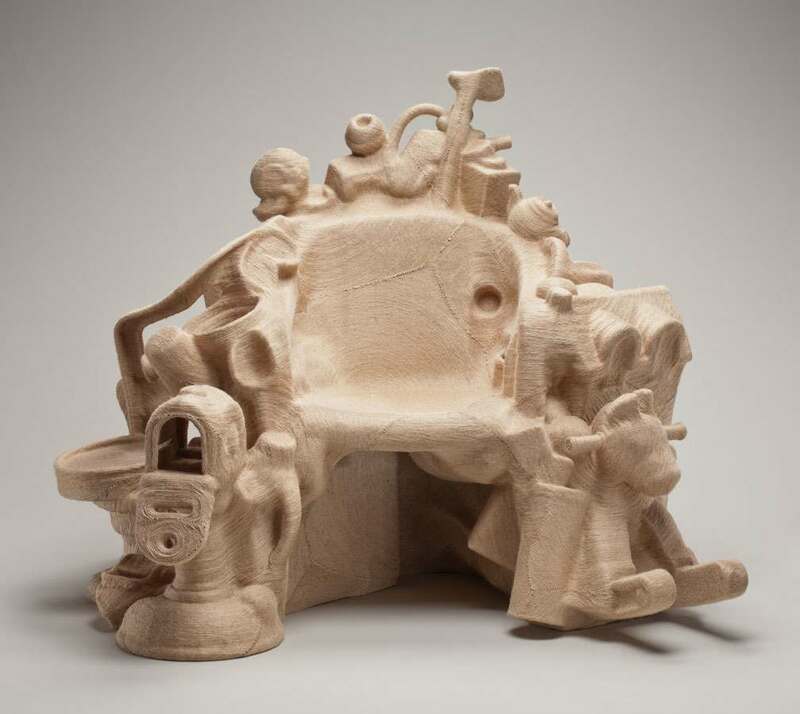 Savage Chair illustrates how artists and designers address issues of obsolescence and sustainability through creative production. Specifically, Oh has chosen to mask a mound of discarded waste material with a natural fiber. By crafting this veil, she intends to explore processes of regeneration, and the transformation of detritus into an object that is beautiful as well as functional.